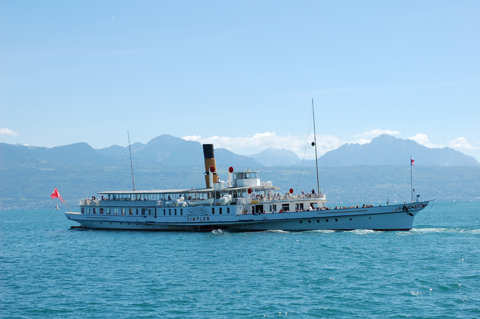 On Sunday, 10 May 2015, the Government of Switzerland has the pleasure to invite delegates to the meetings of the Conferences of the Parties to join a cruise on the side-wheel paddle boat "Simplon" on Lake Geneva. Soft drinks and snacks will be available on board. More information is available on the CGN’s website. Delegates can register for the boat trip until 5 May 2015 by sending an email to the contact person below, indicating their preferred timeslot (morning or afternoon). Should you have any questions about this social event, please contact us.